The first victim saw his friend being pulled by the cougar. He got on his bike and pedaled away to reach cellphone service and call 911. 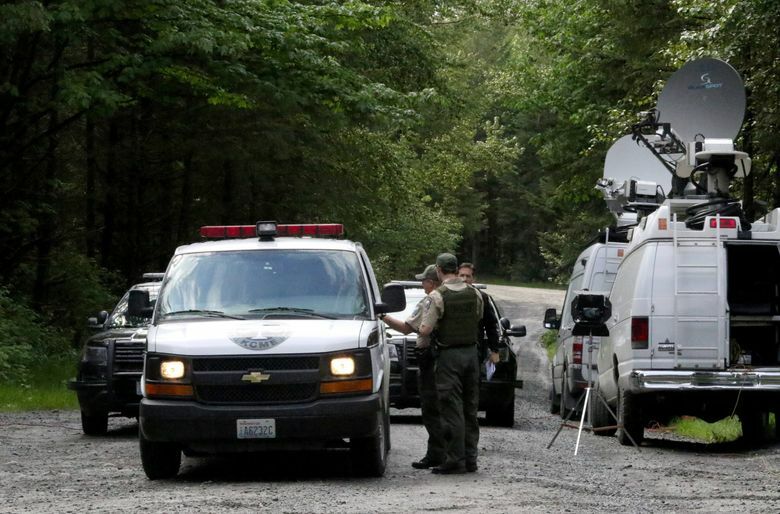 One man was killed and another hospitalized after they were attacked by a cougar while riding their mountain bikes Saturday morning in the woods northeast of Snoqualmie, said the King County Sheriff’s Office. 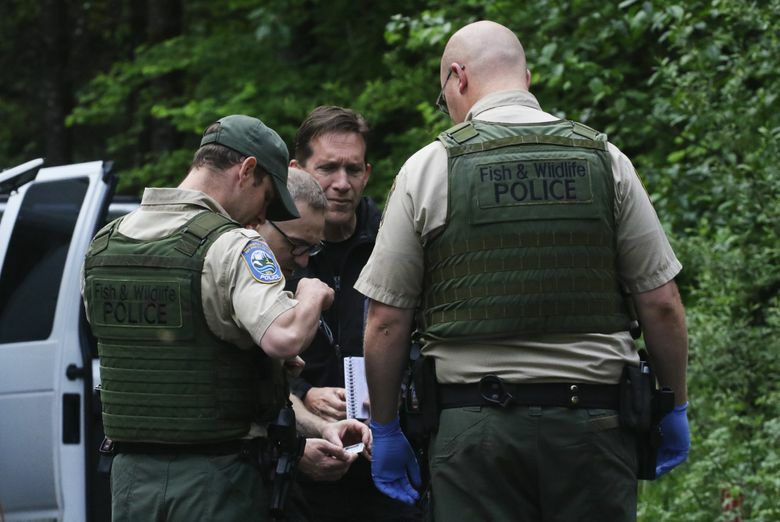 This was just the second fatal cougar attack in the state in the last 94 years, according to the state’s Department of Fish and Wildlife. 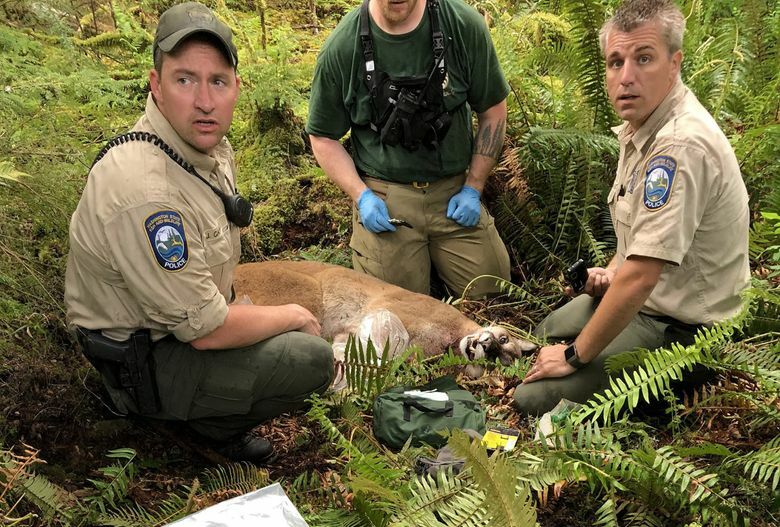 Using two tracking dogs, agents for the state’s Fish and Wildlife police shot and killed the cougar a little before 4 p.m. The cougar was 50 feet up a tree 50 to 200 yards from where the man’s body had been found, said Capt. Alan Myers, of the Fish and Wildlife police. 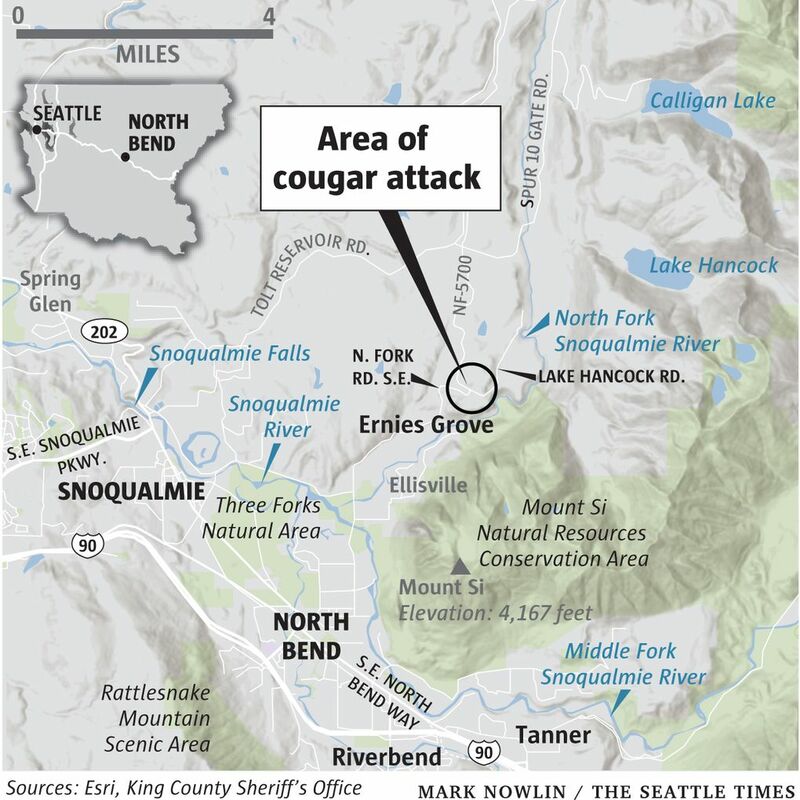 The injured man, 31, was attacked first before the cougar turned on his friend. He initially was listed in serious condition at Harborview Medical Center, but by late Saturday afternoon was upgraded to satisfactory. The names of the two men were not released Saturday. “They were riding when they saw a cougar, kind of stalking them. They did what they were supposed to, which is make noise and distract the cougar. The cougar ran away,” said Sgt. Ryan Abbott, of the King County Sheriff’s Office. He went on to describe the harrowing next few minutes that happened near Lake Hancock northeast of Snoqualmie. “They talked about how scary it was,” said Abbott. Then, suddenly, the cougar returned. Abbott said the man rode for about 2 miles before being able to get cellphone coverage and call 911. “When the deputies and medics responded, it took them about 30 minutes to locate the second victim. He was deceased. The cougar was standing on top of him,” said Abbott. It appeared the cougar might have been dragging the bloodied man, 32, to his den. “The deputies shot at him and spooked him, and he ran off,” said Abbott. 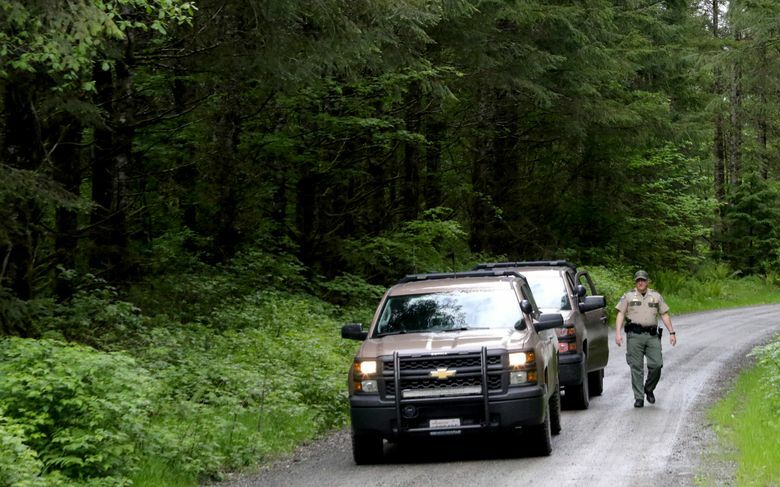 The hours after the attack dragged on as responders waited for word that wildlife agents had killed the cougar, and then they could retrieve the dead man’s body. “We have a manual, and we go step by step, said Rich Beausoleil, the state’s bear and cougar specialist. “When we do catch an animal, we need to know we caught the right animal,” he said. That includes collecting DNA from the killed cougar and making sure it matches DNA from the victims. Nearly five hours after the attack, the hounds found the cougar. “This is the second fatality in Washington in the last 94 years, but it’s one too many,” he said. In that time, the state has recorded 18 nonfatal cougar attacks, with 40 percent considered serious enough to require at the least stitches. Most encounters happen in summer and fall, when people are alone in the woods while walking, jogging or biking, according to the wildlife agency. It says a high percentage of cougars attacking domestic animals or people are 1- to 2-year-old cougars that have become independent of their mothers. Cougars, also known as mountain lions and pumas, are a protected species. Each year, the state allows 250 cougars to be hunted and killed in 50 designated zones. There are 2,100 cougars labeled as “independent” in this state, meaning they’re not kittens dependent on their mothers. That population has been stable for the 15 years he’s been with the agency, said Beausoleil. He said that cougars are territorial, and they limit their own population growth to about two cougars per 39 square miles. That’s roughly four cougars over land about the size of Seattle. Emotions can run high after a report such as today’s. “Hopefully, nobody will break the law,” said Beausoleil.